It’s absolutely undeniable: Microsoft is a company of mammoth proportions. 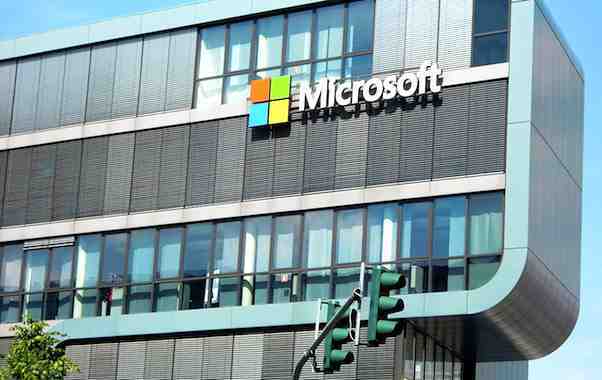 What You Might Not Know About Microsoft’s Vision is what Microsoft the powerhouse it is today. It’s a household name throughout the United States and even in the global marketplace. It is also how we at Excel consultant make our living. But what you might have not know is this, what has been Microsoft’s Corporate Vision, since 1982? Many people are familiar with the company’s famous founder, Bill Gates, known for being the wealthiest man in the world and an avid humanitarian, but few know about Microsoft’s founding vision. It is due to that vision that Microsoft has changed the way we compute and communicate many times over. This rings especially true to the Excel Consultant team, manned by Microsoft MVPs (Most Valuable Professionals) and as a Microsoft Certified Partner who have dedicated their careers to helping businesses prosper with these programs. As experts in this field who’ve made it our mission to maximize the potential of Microsoft products, we’ve discovered a stunning truth: while most people are intimately familiar with Microsoft’s work, most have no idea what the company’s true vision for its products is. What was Bill Gates’ and other Microsoft founders’ central concept for their software, based on their corporate vision? Are people using Microsoft applications the way they were truly intended? What was and is Microsoft’s ultimate goal in designing what have become some of the most popular programs on the planet? In the following blog, the Excel Consultant team will endeavor to answer these questions and more. Read on to learn what you might not know about Microsoft’s vision. Gates famously left Harvard University to pursue this business, but this risk paid off: “in 1987, the year after Microsoft went public, 31-year-old Gates became the world’s youngest billionaire.” From the start, Microsoft leaders were motivated by their drive to stay on the cutting edge of computing technology, making their customers’ lives more convenient with these new tools. Based on conversations at the Microsoft Corporation from the early 1980s, even prior to the 1985 release of Microsoft Excel for Mac (the first ever Excel program), its founders were intent on changing the way users interacted with their various desktop productivity and database applications, with its foundation in the corporations vision statement of what their software should ultimately do. The History of Computing Project notes that, on October 6, 1987, Microsoft announced “Excel for Windows…[offering] interactive, dynamic linking of sheets; one-step, automatic macro re-order; and sophisticated, high-resolution output” plus “completely integrate, on-sheet database management.” These functions emphasized integration and automation, providing hints as to Microsoft’s vision for the future. To fully comprehend and contextualize Microsoft’s vision from the 1980s to now, we need to address how its applications are actually being used today. The vast majority of the millions of people who utilize Microsoft applications treat them as standalone software. These products cater to a diverse user base, from students writing papers in Word to financial analysts spending hours in Excel. Microsoft programs also transcend barriers between commercial and personal use. For example, many people use Microsoft Outlook at work, a required application for business email, and at home, as a viable option to stay in touch with friends and family. While not ideal, it may be workable for the average person to segment Microsoft’s software, pulling up PowerPoint, Word, or Outlook as needed, never giving a second thought to the fact that these applications could be linked. However, if you take a look (or perhaps a click) into the cubicles of most senior executives, vice presidents, CFOs, and other business leaders, you’d likely find two things. First, that Excel is essential to their operations. This spreadsheet and data analysis software is widely considered the most utilized desktop productivity tool. It runs enterprises across America, the UK, Canada, and beyond, so its importance should not be understated. Second, you’d unfortunately probably also discover that, even if they are adept with Excel, these executives haven’t linked the rest of their Microsoft Office programs together in service of their operations. Some particularly savvy “power” users may add one or more of Microsoft’s data-centric applications to their list of software programs, such as Access, SQL Server, Azure, or Power BI. However, even these more knowledgeable executives haven’t realized that their Microsoft programs are actually best leveraged as an interconnected network of applications. The very vision of how these applications would work as one has been the focus since day one. So, what is Microsoft’s true vision for its software applications? At Excel Consultant, our team of Microsoft maestros believes the company’s dream was to create a suite of office productivity tools and a series of database tools for business, government, education, and individuals to use as one unified solution. This ideal is seemingly simple, yet powerful. While its full potential remains unrealized by most Microsoft users, this concept is one of the most important in the company’s history, and this integration between products has contributed to Microsoft software’s popularity. One of many clues that this is Microsoft’s underlying premise is VBA. Visual Basic for Applications is Microsoft’s programming language, which comes free with every program and allows for seamless integration, customization, and automation. Of course, the irony is that a program like Excel, used on its own without any modification to its VBA, is void of the very code that makes Microsoft applications so advantageous. Just as Google wants its users to quickly find what they are looking for on the search engine, Microsoft wants its users to harness the capability of its tools, combining them such that users have to exert as little effort as possible for superb results. Unfortunately, most consumers remain totally unaware of this extraordinary aspect of Microsoft software. They still copy and paste from program to program, alter formulas, insert columns, open Outlook, attach files, add email lists, visually verify results, and more. This is exactly how not to use Microsoft applications; this goes against the very vision Microsoft applications were built on. Fortunately, the Excel Consultant team is here to change that. We’ve embraced Microsoft’s vision and are here to help you unlock the hidden capabilities in the programs you love. Through automation, integration, and apt VBA coding, we can help you enjoy everything Microsoft truly has to offer. Are You Ready to Learn More About Microsoft Software and how you can use it? We can consult with you, program personalized solutions for your company, and train your team in all of the Microsoft applications. Contact Excel Consultant today to find out more! Posted on September 1, 2017 Posted in Blog Category and tagged Software, Government, Financial, Education, Microsoft Office.